But in the grand sweep of American history, this sentence has never been among the most prominent constitutional provisions. In fact, for two centuries it was largely ignored. Yes, because for two centuries, there wasn’t any serious attempts to restrict it. Absent the laws on Title II firearms, under the National Firearms Act, almost every piece of gun control now present at either the state or local level was enacted in the past half-century. The research into the Second Amendment was a direct response to the Gun Control movement. It would not have existed without it. Though state militias eventually dissolved, for two centuries we had guns (plenty!) and we had gun laws in towns and states, governing everything from where gunpowder could be stored to who could carry a weapon—and courts overwhelmingly upheld these restrictions. Gun rights and gun control were seen as going hand in hand. But if you look at the full text, he was complaining about the cost of both the federal government and the state arming the militia. (“The great object is, that every man be armed,” he said. “At a very great cost, we shall be doubly armed.”) In other words: Sure, let every man be armed, but only once! Far from a ringing statement of individual gun-toting freedom, it was an early American example of a local politician complaining about government waste. So the suggestion is that Henry would have promoted the idea that we can limit individuals to only one firearm? That’s quite a stretch. There’s another bit where he speaks of Jefferson quotes in context, where Jefferson uses the phrase “One loves to possess arms, though they hope never to have occasion for them,” noting that the context shows Jefferson used this phrase as a metaphor. 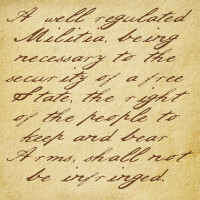 But Jefferson was an avid arms collector, as was George Washington, to whom Jefferson wrote this passage. You can find passages in writing where both Jefferson and Washington describe carrying firearms in private self-defense. It’s simply hard to believe either of these men would have had any sympathy or even notion of modern gun control laws, but in order to preserve the modern 20th century sentiments on the right to keep and bear arms, they have to in fact turn the tables, and argue that it’s our view that is the modern invention, and not theirs. I have purchased the Kindle Edition of his book. If I manage to get through it, I’ll review it. The first clause amounts to “Much as we dislike standing armies, we realize that they are in fact necessary to the security of a free country.” This acknowledges that relying entirely on an “organized militia” is impractical, as people at large would rather do their own thing than be obligated to military training, and advanced training & armament is required well beyond what a “weekend warrior” can provide in time & expense. 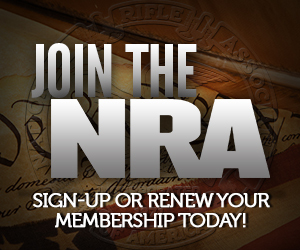 The second clause amounts to “The fact that there is a standing army in no way justifies disarming the populace in any way whatsoever.” This is a direct & absolute rebuttal to the inevitability of “gun control” advocates, whatever language used whenever in history, and regardless of scale & advancement of armament. I think the truth was the prefatory clause was put in as a bone to the people who were concerned about federal control over the militia. The operative clause was meant to do something thoroughly uncontroversial among the founders and essentially everyone at the time, which was to guarantee and individual right to be armed. There was no debate about it, because there wasn’t anyone who disagreed with that. What they disagreed on was how much power the federal government should have over the militia. One thing both Winkler and Waldmann get right is that modern libertarianism would have been undesirable to the founders. To the extent that Waldmann wants to argue Republican Virtue missing in the modern society, they are absolutely correct about that. I believe most of the founders would find people today to be quite self-absorbed, including most libertarians today. Except by dozens of state supreme courts, half a dozen U.S. Supreme court decisions, at least a dozen scholarly works on the Constitution. And more state constitution drafters than I can remember. What did Alan Gura say? Something to the effect that a pattern of infringements doesn’t elevate those infringements to a Constitutional argument? I tried Googling it but I can’t find it. That’s a rather sweeping claim of historical endorsement, failing to differentiate among actual safety issues (storage of gunpowder WAS a concern, what with large poorly-protected quantities in a culture using frequent open flames), actual justifiable denials (adjudicated felon/insane, like today), mode of carry (open carry normalized; concealed was presumptive proof of ill intent), … vs pure prohibition in the form of banning >N capacity, red tape violations, excessive costs, or “shoulder things that go up” absurdities. A pattern of infringements makes it hard to trump with Constitutional argument, but yes methinks Gura has a salient comment on the topic. I do not think State militias ever completely dissoved. They were certainly active into the 1900s. Texas still has a home guard, as do other states. The Second Amendment, I really don’t understand why this is such a problem? When there are 49 reasons which explains it. If, as some may argue, that the Second Amendment’s “militia” meaning, is that every person has a right to keep and bear arms. The only way to describe one’s right as a private individual, is not as a “militia” but as a “person” (“The individual personality of a human being: self.”). “Person” or “persons“” is mentioned in the Constitution 49 times, to explicitly describe, clarify and mandate a Constitutional legal standing as to a “person”, his or her Constitutional rights. Whereas in the Second Amendment, reference to “person” is not to be found. Was there are reason?. The obvious question arises, why did the Framers use the noun “person/s” as liberally as they did throughout the Constitution 49 times and not apply this understanding to explicitly convey same legal standard in defining an individual’s right to bear arms as a “person”? Merriam Webster “militia”, “a body of citizens organized for military service : a whole body of able-bodied male citizens declared by law as being subject to call to military service. In the whole of the U.S. Constitution, “militia” is mentioned 5 times. In these references there is no mention of person or persons. One reference to “people“ in the Second Amendment. People, meaning not a person but persons, in describing a “militia”. “People” is mentioned a total 9 times. It’s not enough to just say that “person(s)” is mentioned in the United States Constitution 49 times. But to see it for yourself, and the realization was for the concern envisioned by the Framers that every “person” be secure in these rights explicitly spelled out, referenced and understood how these rights were to be applied to that “person”. “…except during the Life of the Person attainted….”. For example, the text of the Seoncd Amendment does not protect the right of the “militia”. The fact is that “people” is the term used in the First, Fourth, Ninth, and Tenth Amendments to describe individual rights. It is never used in the Bill of rights to describe a “collective” right, nor a right pertaining to states. The minority of scholars who still cling to the anti-standard model have not yet recovered the credibility they lost from the Michael Bellesiles scandal. Their unthinking and uncritical full embrace of Bellesiles’ fraudulent book “Arming America” exposed them for the hacks they really are. Bellesiles is back at the podium, although at a much downmarket college, and he had another tendentious book come out last year. He’s a fraud who retains a lot of friends in the academy and in New York publishing circles.